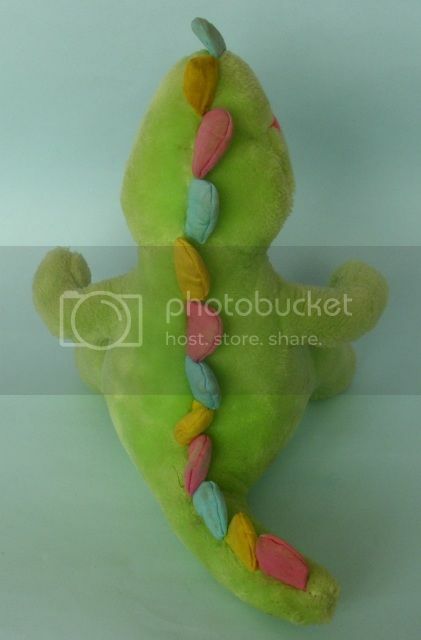 I have for sale this rare Dinosnores plush.. 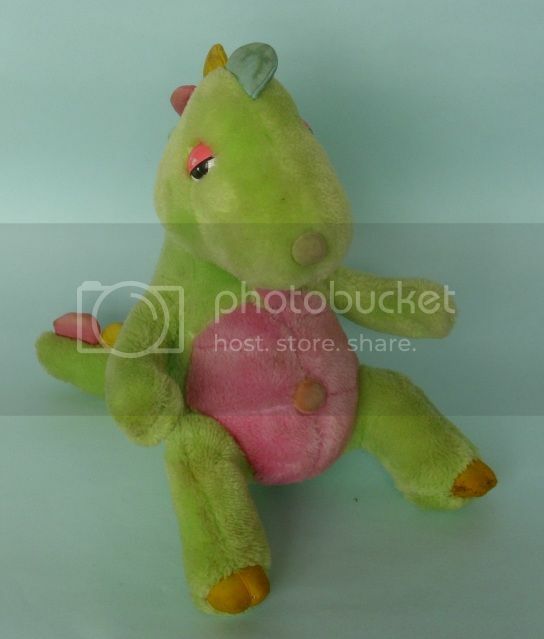 He is the green Dinosnore and is in good condition.. there are some black marks on his feet.. They'll probably wash out but I don't want to harm him and they're not bad so I haven't tried to remove them. His 'Snore' still works perfectly and his fur is nice and soft. 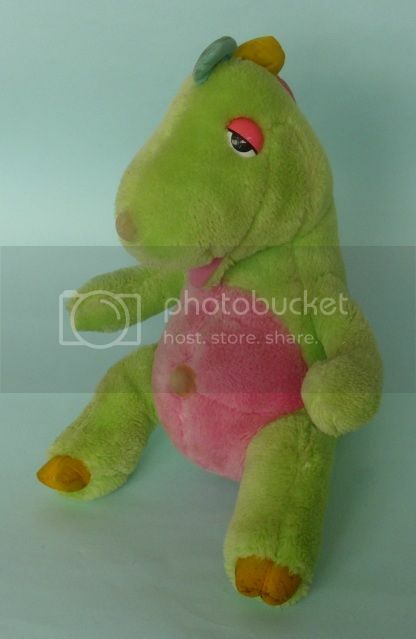 I am asking £30 for him plus postage (I will post worldwide with tracking). please drop me a line if you are interested in buying him.